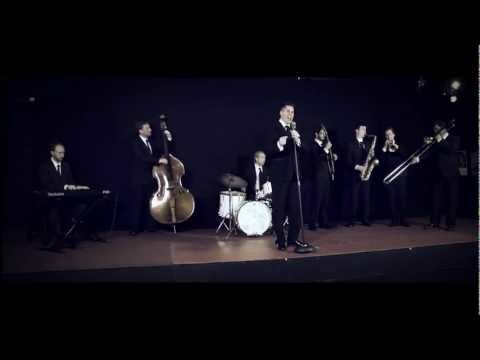 The New Vintage Band are a swinging ten piece function band, made up of seven incredible live musicians, and fronted by charismatic crooner Phil Lyons. The band are joined by the glamorous singing siblings 'The Summerbell Sisters'. With a two hour show the band covers the vintage sounds of 1930's Jazz, through to 40's Swing and Jive, 50's Rock n Roll and finishing with the Soul hits of the 1960's. Performing their own versions of hits made famous by artistes such as Louis Prima, Frank Sinatra, Ray Charles, Louis Jordan, Bobby Darin, Tony Bennett, Nat King Cole, Ella Fitzgerald, Bill Hayley, Chuck Berry, Wilson Pickett, Jackie Wilson and many, many more. The New Vintage Band performs with style and energy breathing fresh new life into the classic hits of the 20th century with their up tempo, feel good show. 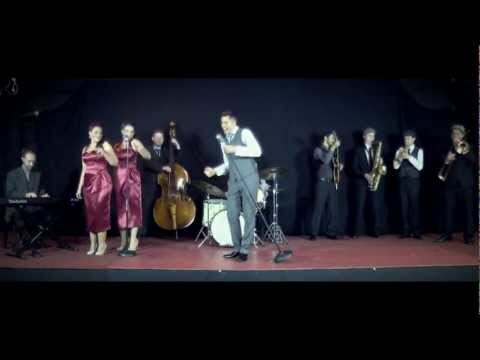 Ideal for weddings, events and venues looking for a professional, entertaining band with a vintage twist. All the musicians have been hand picked for the band, and are "in demand" performers and session musicians who have worked across the UK and Europe. Phil Lyons is an experienced, professional vocalist who has performed across the UK and abroad as a cabaret vocalist and band singer for weddings and events. Phil has performed for many well known companies and venues and on live television and radio while touring in the beautiful island of Malta. Often compared to the likes of Michael Buble and Harry Connick Junior, Phil prides himself on delivering high standard vocals as well as humour and an energetic performance. As well as the 2 hour party show, the band can also perform a background jazz music spot ideal for drinks receptions, during meals or for venues. A DJ service and a specially themed Christmas show is also available. Sorry, Phil Lyons and his New Vintage Band doesn't have any photos right now Send us an enquiry and we'll get back to you, or check out the rest of the act profile. Again thank you to Lee for the very efficient and friendly service you provided in arranging for the Phil Lyons New Vintage Band to play at our wedding. We have sent emails to the band saying thank you for playing fantastic sets. Phil was amazing and had a fantastic voice. He soon had our wedding guests jiving and twisting away. Loads of guests commented how fantastic he was. I would definitely recommend him. Hi Phil, I just had to let you know what a great night we all had. You are definitely a great entertainer and I love, love, love swing music!. Thank you so much to Phil Lyons and his New Vintage Band who really got Gozo rocking the night of our wedding! All the music was amazing! Perfect swing, jazz and more. The show was such a hit with our guests. I certainly know a few couples who would love to have you at their wedding! Thanks a million. We said it on Friday but wanted to echo again how brilliant you and the band were on Friday. We had so many compliments and thought the music was great - it was exactly what we wanted!.